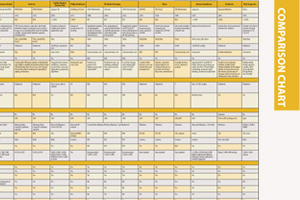 This article appeared as an introduction to a Comparison Chart on Treatment Planning Systems in the June 2015 issue. Today, treatment planning - the heart of radiation therapy systems - is almost entirely computer based, and is designed to help increase productivity by simplifying data for clinicians, making workflow smooth and seamless. This is key to helping improve patient outcomes. As technology progresses, so do treatment planning systems. The following overview helps paint a picture of some of the software systems currently available on the treatment planning systems market, and are highlighted in the Treatment Planning Systems comparison chart. The Accuray MultiPlan Treatment Planning System enables medical professionals to generate high-quality treatment plans for the CyberKnife Robotic Radiosurgery System. These flexible and individualized treatment plans can be created quickly and intuitively, resulting in a fast and accurate treatment delivery. The planning is a multidisciplinary and collaborative process, requiring input from the physicist, the radiation oncologist and the surgeon. New features and enhancements in the MultiPlan System address the specific needs of each group and provide the flexibility to accommodate new clinical applications with ease. Brainlab's iPlan RT treatment planning offers efficient clinical workflows and provides many treatment options for clinicians to choose from. Its image features offer time-saving pre-planning steps, such as automatic image fusion and fast organ definition and contouring. The software caters to a wide spectrum of treatment techniques to help define the best possible treatment plan. The Brainlab Monte Carlo Dose Calculation software is a high-performance algorithm designed for fast, precise radiation therapy dose calculations. Brainlab technology currently powers treatments in the fields of neurosurgery, radiation oncology, orthopedics, ENT, CMF, spine and trauma. Elekta's XiO v5 is a comprehensive 3-D intensity modulated radiation therapy (IMRT) treatment planning platform that combines advanced planning tools with well-rounded dose calculation algorithms. Frozen Dose allows recalling plans without recalculating dose. DICOM improvements include RT range improvements, a report in internal or DICOM coordinates and the ability to export original image orientation. The new Proton Range Compensation Editor allows for editing thickness, viewing in 3-D and editing aperture. It supports a range of treatment modalities, including 2-D, 3-D, multileaf collimator (MLC)-based IMRT, solid compensator-based IMRT and brachytherapy, in addition to dynamic conformal arc therapy and stereotactic delivery. Monaco 5 upgrades include recalculation of Monaco plans, and basic 3-D planning tools including electrons, feet-first planning for all plans, wedges, the bolus tool and static MLC arc planning. QA functionality has been merged into planning activity, so Monaco plans and QA plans have the same functionality. Isodose to structure preferences have the ability to convert isodose to structure, and change the thickness of 2-D isodose lines. Also, the upgrade supports Siemens Artiste Rotational IMRT (mARC). 4-D tools allow for importing of 4-D image sets with auto naming, and the ability to view multiple structure sets on displayed image sets, create ITV using auto-margin and cine view and display grid to measure tumor motion. It supports stereotactic cone planning from all vendors. Philips' Pinnacle³ is designed for small and mid-size centers as an affordable server-class system that provides access from virtually any location. The system is scalable so it can grow with a center's needs. It can support centers with up to three linear accelerators (linac). Centralized processing offers all users the power of the professional server. The system is up to 30 percent faster than the older 810X platform. Floating licenses allow a Pinnacle³ user to have an unlimited number of access points, including Mac users. The Panther 3D Conformal Therapy system is designed to improve efficiency. It operates on the user-friendly Windows platform, allowing the fast generation of treatment plans due to the familiar Windows look and feel and the vendor's intuitive user interface. The system is completely modular to make upgrades with new modules easy and seamless. Panther supports Siemens virtual wedges, and photon and electron beams can be combined. It offers MLC support, and the MLC display can be turned on or off. MLC can auto fit to any selected organ with a specified margin, including inner, outer or center edges. Individual MLC leafs can also be graphically edited. RayStation v4.5 includes a wide range of new features that will help cancer centers improve their treatment planning process and also enable them to take adaptive planning a step further. It offers ultrafast and robust optimization for proton and photon treatments, boosted dose calculation, automated breast planning and biomechanical deformable registration using Morfeus technology. rayOptimizer, the multipurpose optimization engine, can solve virtually any posed optimization problem within radiation therapy using all degrees of freedom of the treatment unit. RayStation 4.5 includes a major step forward in the field of automated treatment planning. The new rayAutoBreast module provides tools for automated generation of tangential breast IMRT plans using heuristic optimization and includes features such as automatic detection of radio-opaque markers defining the breast, automatic contouring of all the relevant target and risk organs, automatic setup of beams - including heuristic optimization of gantry and collimator angles - and automatic creation of objective functions, optimization and segmentation settings and clinical goals. Varian's Eclipse treatment planning system allows for efficiency. Virtual simulation eliminates data transfer steps and the management of separate sets of data. Emergency treatments can be planned immediately in the simulation area. Powerful tools simplify contouring tasks and field setup, and a fast calculation engine reduces treatment planning time. Integrated plan verification and quality assurance tools speed ongoing treatment planning and beam data validation, saving time for physicists.